SKU: 0000030. 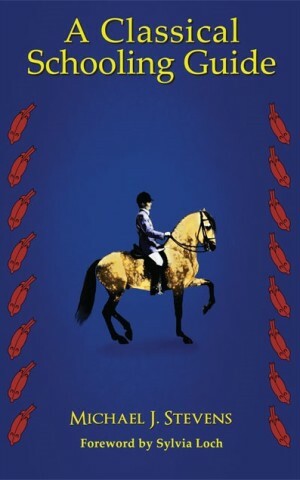 Categories: Equestrian, non-fiction. 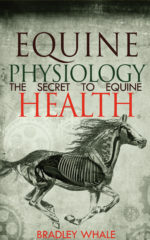 If you enjoy schooling your horse and want to make him easier to ride, have the correct muscle development, and stay sound, this book is for you. It describes various school exercises, discusses the qualities that are needed in a well-trained horse, and includes a schooling plan for training young horses. The term ‘classical’ refers to schooling philosophies and practical exercises that have stood the test of time and have been found to be successful in promoting the physical and mental wellbeing of the horse. It is schooling without force and without using gadgets. This book is about riding for the good of the horse. It will help you to improve your seat and aids and bring your horse closer to his full potential. Without ever saying anything unnecessary, Stevens clearly explains important milestones on the way to good, advanced riding from scratch: The rider’s attitude, seat, use of hand and leg aids, staying aligned with the horse. Above all: “If you hope to ride classically, you must make an effort to understand the horse’s mind… Nothing beautiful can be produced in an atmosphere of fear, hate and mistrust…but the relationship between rider and horse should always be one of friendship and cooperation. A master-servant relationship is no good for classical riding because the horse must express the joy of life in his work”. Stevens discusses the disappearing of single-handed riding from the scene: “This one change has had a disastrous effect on riding standards,” he rightfully says. Because, how many of today’s top dressage horses could be ridden correctly (and gracefully) on the curb only, single-handed? Their certain inability to do so is the definite proof that their training has been incomplete, insufficient. Further important issues are explained, such as establishing a good contact, the role of the bit, fostering balance and self-carriage, exercises for lateral and longitudinal flexions, collection, variation of gaits, riding transitions, riding flying lead changes, plus advanced exercises such as canter pirouette, piaffe and even(!) — terre-à-terre. The author suggests a realistic schooling plan for all this and reminds the reader that thorough classical training which is beneficial for a long-lasting, healthy horse takes time and patience. And not every horse can achieve everything, though it is usually the rider’s fault if things go wrong, not the horses. “Dedication, the willingness to learn, a love of horses and a desire to improve their performance, will ensure many long enjoyable years on horseback.” And for all those who want to read further, Stevens recommends to study the Duke of Newcastle, Guérinière, Steinbrecht, Podhajsky, and other great classical authors. I love Stevens’ “Classical Schooling Guide” because it appears so modest and short but offers so much experience and information from a true horseman. It is the perfect gift for riders you would like to be shown the right way. Copyright © 2019 The Bookshop.